Call me juvenile, but when I think of raisins, I think of “Ants on a Log”. 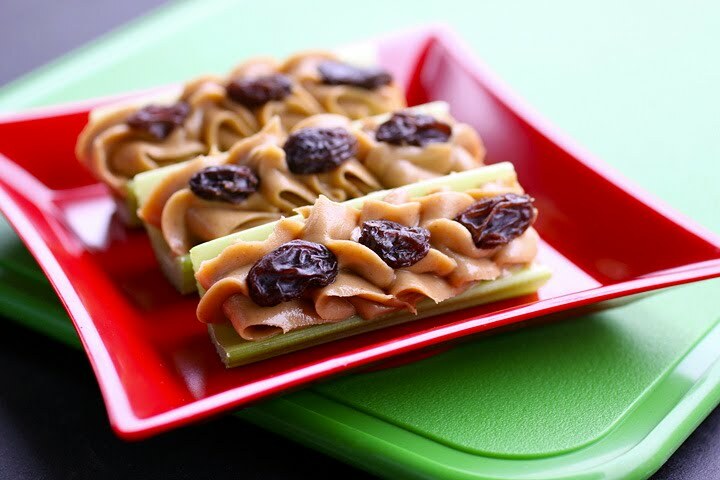 You know, celery, filled with peanut butter, topped with raisins (aka “ants”)? When I ordered raisins in my CSA box last week, primarily for my middle child who is pretty sure the world revolves around raisins, I of course thought about Ants on a Log…which is really the only recipe I use raisins for. As a kid I wouldn’t eat them. I hated celery, peanut butter belonged on sandwiches, and raisins were just grapes that’d had the life sucked out of them. 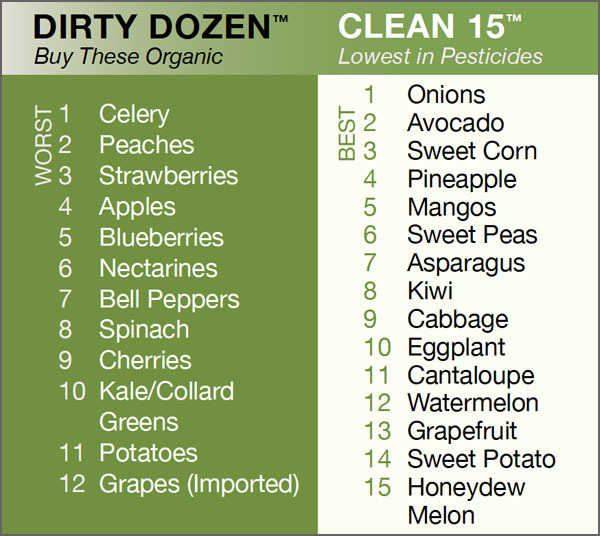 In case you’ve never heard of it, “The DIrty Dozen” is a list of vegetables and fruits that, if at all possible, should be purchased organically grown. I am fully aware that organic foods can be very expensive (which is part of the reason why I am such a huge advocate for CSA and Farmer’s Market shopping…much cheaper!) But this list gives you a guideline for what items should be purchased organic if you can budget some, but not all. Where I live, celery is not in season right now, but you bettah believe I’m buying it organic. It is maybe a dollar more than conventional, and I am HAPPY to spend it. Ok, so we have established we need organic celery. Remember when we were kids, and we were told which brand choosy mom’s choose? This is the part where I try really hard not to dissect every ingredient. 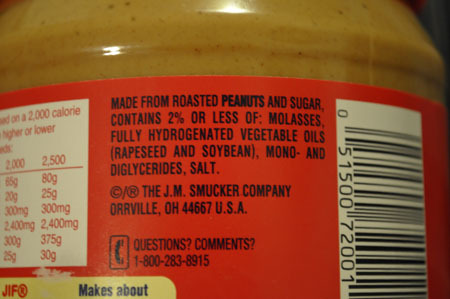 Let’s focus on this: It contains “fully hydrogenated vegetable oils” (which makes it so they can label it “No Partially Hydrogenated Oils!”) What does this mean? It means that Jif is poisoning their peanuts with disgusting oils that were heated to 400* then pumped with extra hydrogen atoms. The result? A smooth, creamy peanut butter that doesn’t separate. Oh, and the oil turns rancid, toxifying your system. It’s foreign to your body, so instead of using it, your body has to work harder to essentially fight it off as as free radical (which is a known cancer causing problem.) These oils are usually (and I only say “usually” to cover my back side) made from GMO ingredients as well. Alternative? Many stores offer fresh ground peanut butter (Sprouts, Winco, Whole Foods) that you grind yourself. You can choose (in most cases) between plain (aka, no sugar or salt) or honey roasted (my favorite!) 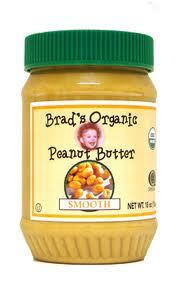 Another good option if you have a costco card, is “Brad’s Organic” peanut butter. Always look for an organic peanut butter, and READ THE LABELS guys! The last stop on our Ants on a Log journey? The “Ants”. Conventional raisins, however, not so much. In tests done on raisins grown on conventional farms, up to 26 pesticide residues have been found. Want a better understanding of what that means to YOU? 9 were honeybee toxins, which is a serious problem…unless you don’t mind losing the majority of our fresh produce from the planet. The solution? Organic Raisins. It’s not just what all the cool kids are doing, guys. This is a real, scientific issue, in so many ways. As I said, this post wasn’t about teaching you how to make a favorite childhood snack. it’s about deconstructing that snack (and perhaps our current food system) in an effort to encourage you to treat yourself and your body better. As a result, you will be contributing to a far superior, sustainable, privately owned food system. In short? We could change the world. One raisin at a time.